Today on my show I had the pleasure of a conversation with Melissa Turner, Founder and CEO of Mainstream Services Medical Billing Inc, on her best strategies for how women can avoid getting trapped beneath a glass ceiling at work. How can a woman truly tell if she has reached the glass ceiling? If she hasn’t, what strategies can she use to move forward? What can a woman do if she is feeling held back? And, why is it so important to build a network around you? If you would like more information and would like to purchase a copy of Melissa’s book, please visit her website. Enjoy the show! Thank you Melissa for sharing your valuable insights and taking the time to teach us how to avoid getting trapped beneath a glass ceiling in Corporate America. Melissa Turner Founder/CEO of Mainstream Services Inc. attended Huron University in Huron, SD majoring in Business Administration. She has more than 20 years experience working in corporate america and has held various positions/titles and has been graced with numerous honors and awards including the prestigious Bank of America Award of Excellence, the highest award given to the top 1% of associates out of approximately 190,000 worldwide. 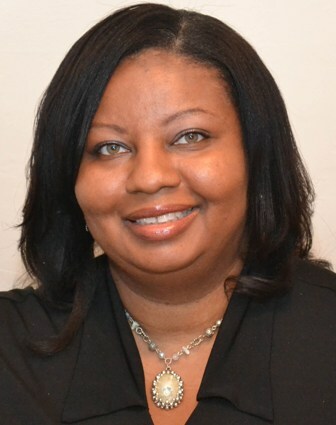 Melissa founded Mainstream Services Inc., a South Holland Illinois based healthcare consulting and billing company in 2007 while still working full-time in corporate america. She transitioned in 2009 to turn her focus full-time to her company and its continued growth. Through her knowledge and skill set she has been contacted by numerous media sources for her input on corporate leadership, medical billing and small business/entrepreneurial advice. Melissa recently became a published author contributing a chapter titled “The Perceived Glass Ceiling” to the book “How to Break the Glass Ceiling Without a Hammer: Career Strategies for Women” scheduled to release August 12, 2011. Melissa can be reached through the below contact information. This entry was written by Dr. Shannon Reece, posted on November 17, 2011 at 6:00 am, filed under Spotlight on Success Episodes and tagged Corporate America, Mainstream Services Medical Billing Inc, Melissa Turner, strategies for women, the glass ceiling. Bookmark the permalink. Follow any comments here with the RSS feed for this post. Post a comment or leave a trackback: Trackback URL.